773 Bilsland Drive, Glasgow. G20 9PA. This notorious bar has now been closed for years, it now lies derelict while a new housing estate is being developed around it. 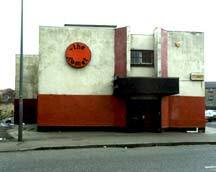 This pub was opened in 1972 by Gavin Allan. This eye-sore has now been completely demolished.